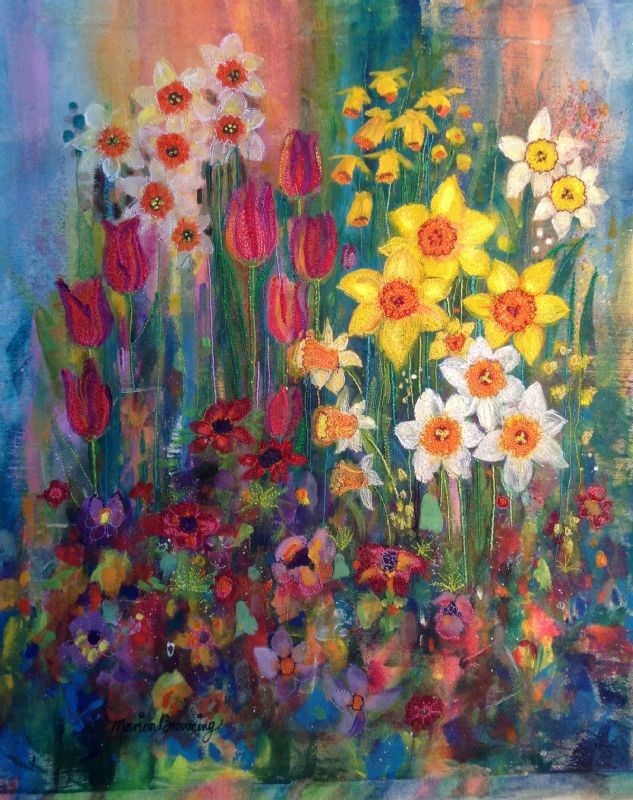 Daffodils and Tulips - Textile Art by Marion Browning.B.A. hons. Painted on Fabric, embroidered with free embroidery stitches then stretched on to canvas.